When the playoffs come around, the pressure is on, a concept not lost among California’s representatives in the USA Hockey High School National Championships in March in Reston, Va.
JSerra and Orange Lutheran had the experience of reaching this stage in recent years, and after a fight through the California Amateur Hockey Association state tournament, they felt ready to challenge the country’s elite. With the release of the draw, JSerra knew that it was in for a gut check. The Lions had landed in a group that included the past two national champions in Bethel Park (Pa.) and Regis Jesuit (Aurora, Colo.). The fourth team was eventual national champion Wayzata (Plymouth, Minn). JSerra emerged from the group after dropping its opener to Wayzata, 3-2. 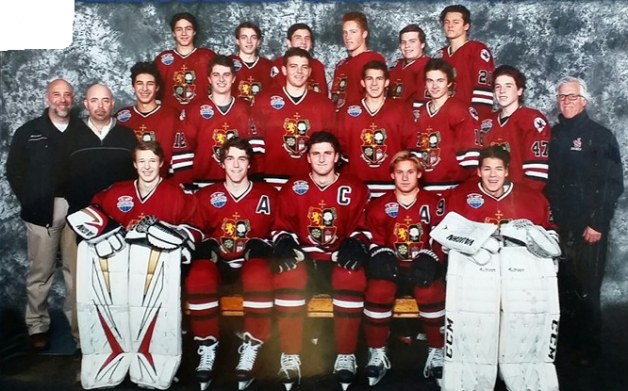 The Lions shut out defending-champion Regis Jesuit 2-0 before defeating Bethel Park 5-2 to advance to the quarterfinals where Wayzata dispatched the Lions 7-1. Orange Lutheran suffered the disappointment of being eliminated in group play for the third straight year. The Lancers fell to tournament finalist Edina (Minn.) 3-1 in their opener. In the second game against Downingtown East (Exton, Pa.), the Lancers rallied from a 3-0 deficit in the third period before losing in a shootout 4-3. Central Catholic (Pittsburgh) beat Orange Lutheran 6-4 in the final game of group play.